The ox who dances free. 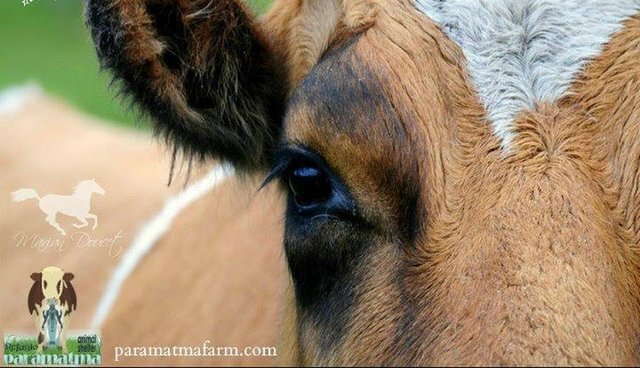 Freedom is a right that should not be denied to anyone, unfortunately, this is the first right that is denied to many farm animals. Balarama, our friendly ox was never a prisoner, but sadly his mother was. When we bought the original property to start our animal sanctuary Juliana's Animal Sanctuary (The first and only sanctuary in Colombia and second in South America), it so happened to be located right next to one of the largest dairy farms in the country. One day a dairy cow from that farm jumped the fence that divided our properties and entered our farm. We heard a lot of screaming from people trying to get into our farm to get this cow, so we went to see what was happening. We then learned that the cow was pregnant and had jumped the fence, escaping from slavery at the dairy farm for one reason: To save her son! Male calves born on dairy farms are killed as "veal." Balarama today, happy and free. He have a beautiful natural heart shape in his headShe gave birth to her son almost immediately in our animal sanctuary. The dairy farmers wanted to take both animals back, but we gave money to the owner so that we could save this baby calf by allowing him to stay on our farm. Unfortunately, we were not allowed to save his mother and she was hauled away to the dairy farm. Since that day, this bull lost his cow mother and I became his surrogate mother. Balarama never knew his real mother, but neither has he known slavery and suffering. For that reason, he trusts all humans and is very easy to handle, like a big kitten.It's now been 10 years since that fateful day that Balarama's mother decided sacrifice herself to give freedom to her son. I am sure she is happy that Balarama is now big and strong, and who loves to play, run and moo.In this video, we can see how animals naturally act when they free, unlike other animals that have been denied of such expression because humans have forgotten to follow their heart and have become slaves to their tongues. I wish I could personally tell Balarama's mother: "Please do not worry. Your boy is free! He is protected and happy. You saved him." She gave birth to her son almost immediately in our animal sanctuary. The dairy farmers wanted to take both animals back, but we gave money to the owner so that we could save this baby calf by allowing him to stay on our farm. 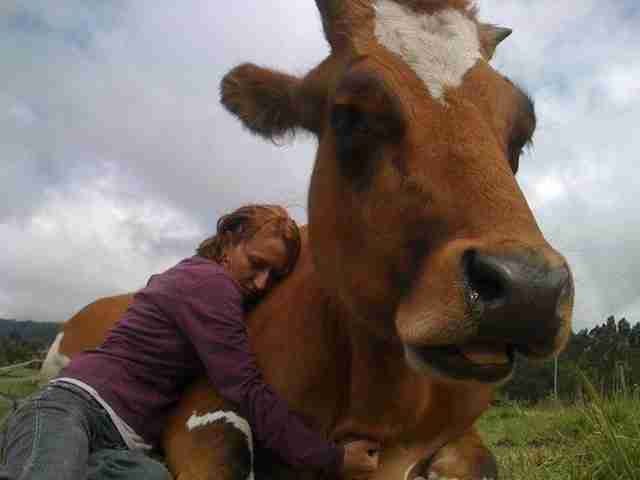 Unfortunately, we were not allowed to save his mother and she was hauled away to the dairy farm. Balarama never knew his real mother, but neither has he known slavery and suffering. For that reason, he trusts all humans and is very easy to handle, like a big kitten. It's now been 10 years since that fateful day that Balarama's mother decided sacrifice herself to give freedom to her son. 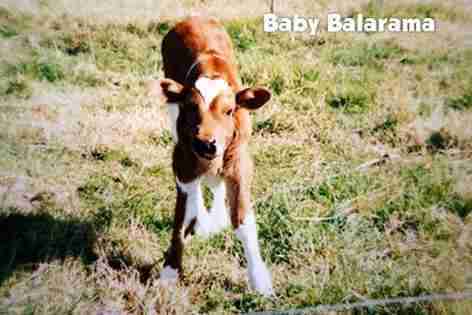 I am sure she is happy that Balarama is now big and strong, and who loves to play, run and moo. In this video, we can see how animals naturally act when they free, unlike other animals that have been denied of such expression because humans have forgotten to follow their heart and have become slaves to their tongues.